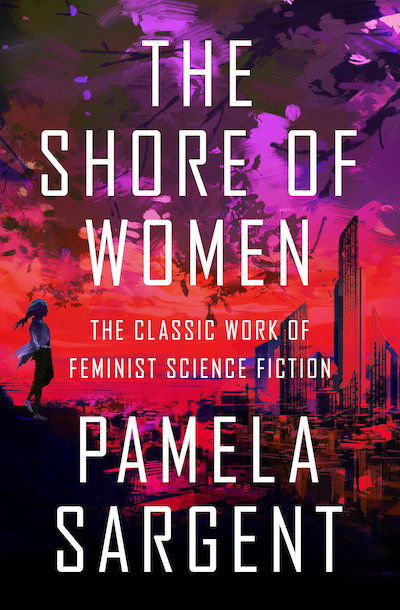 A dystopian tale of a power struggle between the sexes in the post-nuclear future, perfect for readers of Margaret Atwood and Ursula K. Le Guin. After a nuclear holocaust, women rule the world. Using advanced technology, they’ve expelled men from their vast walled cities to roam the countryside in primitive bands, bringing them back only for the purpose of loveless reproduction under the guise of powerful goddesses. When one young woman, Birana, questions her society’s deception, she finds herself exiled among the very men she has been taught to scorn. She crosses paths with a hunter, Arvil, and the two grow close as they evade the ever-threatening female forces and the savage wilderness men. Their love just might mend their fractured world—if they manage to survive. Hailed as “one of the genre’s best writers” by the Washington Post Book World, Pamela Sargent is the author of numerous novels, including Earthseed and Venus of Dreams. The winner of the Nebula and Locus awards, she has also coauthored several Star Trek novels with George Zebrowski.